Official Los Angeles Lakers car accessories merchandise to show off your team pride. 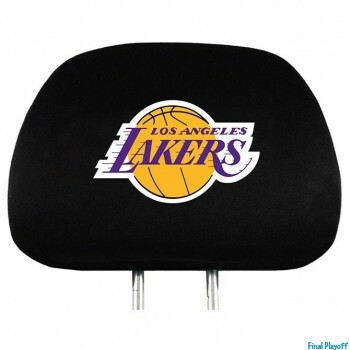 Take on the road with your Los Angeles Lakers auto accessories such as seat belt pads, steering wheel covers, floor mats, headrest covers made to fit your car or truck. Whether your pulling up to the next tailgate or driving home from work, getting your Los Angeles Lakers flag decals and hitch covers from our online shop makes it easy to find your team gear. Los Angeles Lakers bumper stickers and hanging mirror ornaments also make a great gift ideas to any sports fan without breaking the bank.